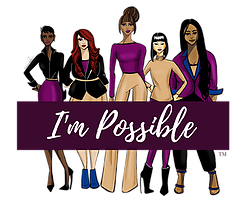 To help female entrepreneurs grow their businesses and themselves to their fullest potential, local entrepreneur Sharon Ringiér will present the I’m Possible Women’s Empowerment Conference from Friday, Feb. 15-18, 2018 at Hilton Chicago-Northbrook located at 2855 Milwaukee Avenue. Guests will also hear inspiring stories and experiences from three keynote speakers: Whitney Reynolds, host of PBS’ “The Whitney Reynolds Show”; Jacqueline Camacho-Ruiz, international speaker, author and founder of the Naperville-based JJR Marketing; and Barry Schimmel, Chicago-based consultant, author and motivational speaker. There will also be social events as well as a Women’s Business Expo with more than 40 exhibitors with business resources. One of the highlights will be the “Celebration You” Gala on Saturday, Feb. 17th. The gala, a celebration of self, will be emceed by Traci S. Campbell, founder of the Chicago-based Beauty In/Beauty Out (BIBO) Foundation, an organization that emphasizes the positive revamping the image of women. Event sponsors include Teddie Kossof Salon & Spa, Hot Noize Entertainment and Pinstripes. A portion of the ticket proceeds will benefit the following charitable partners: The Fig Factor Foundation, Mary Lou and Arthur F. Mahone Fund and The Far’Falla Girl organization. Thinking of her own legacy, Ringiér hopes to present her event on a yearly basis. Most importantly, she wants guests to walk away from the conference encouraged and empowered to find their own self confidence as well as tips and tools that they need to have successful personal and professional lives. For more information or to register for the event, visit https://www.impossiblewec.com/.